While the famous saying goes “a dog is a man’s best friend”, it actually takes a lot of time as well as effort before puppies learn all the right habits. 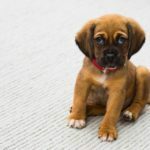 For a lot of dog owners, housebreaking a puppy can mean staying focused every day for months and that too without seeing any meaningful results. 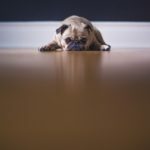 While the original thought behind acquiring a dog might be to have a good time, the hardships of housebreaking may serve to cause more pain. Ergo, it is natural for dog owners to become frustrated and lose all hope. 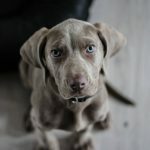 However, contrary to popular belief, housebreaking is not a tough task and with the proper training and techniques, there is no reason why you can’t have a good time with your dog. This is perhaps the most basic step towards initiating the housebreaking process. Most experts suggest that it is imperative for dog owners to make sure that the first thing they do in the morning after getting up takes their puppy out. Similarly, taking her out before going to bed is equally as important for getting the best results. Both of these timings are said to be crucial because it is during these times of the day that puppies are most likely to feel the need to empty their bladder. Again, this one is all too obvious. When puppies are fed, they are likely to want a trip to the toilet. Therefore, it is recommended that dog owners take their puppies outside or to the designated toilet place right after feeding them. 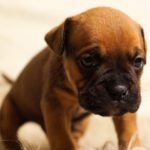 This is crucial because if a significant duration passes between the last meal and the toilet break, the puppy might find it hard to control her bowel movements. Using a timer is a very simple yet extremely effective way of housebreaking a puppy. 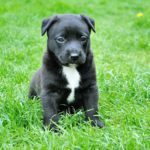 By simply using a timer or an alarm clock and setting it to ring after every 30 minutes, the puppy can be taken outside after short intervals to empty her stomach. Even if the puppy does not relieve herself, she should be praised by a reward to ensure that she continues with her habits. As the puppy grows older, this time, can be increased from every half an hour to an hour depending on her needs. 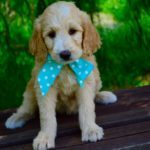 While it is said that people should spend as much time as possible with their puppy in the initial stages, sometimes it is not possible to always be with her. Thus, the puppy has to spend some time alone. 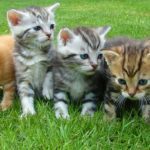 However, to ensure the prevention of any untoward incident, dog owners should leave the puppy in the care of someone else if they themselves are busy. This is important because puppies are more likely to deviate from their training when left alone due to feeling anxious and lonely. Putting the puppy in a safe cage or a box is an alternative to leaving her in the care of someone else. If there is no one else to look after the puppy, she should be put in a cage or a box so that no mess is caused. However, one should ensure that the puppy is never left alone for extended periods of time. 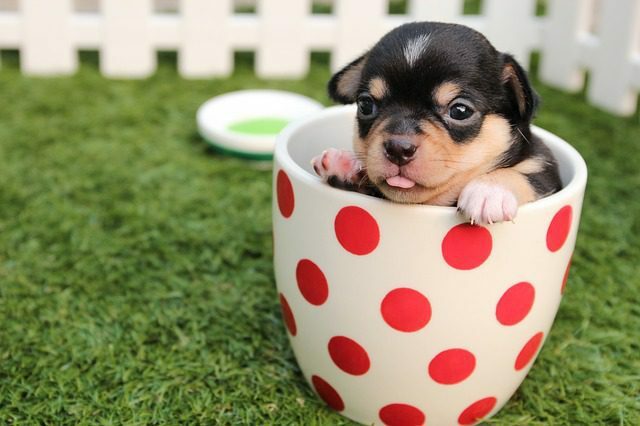 In order to ensure that the puppy relieves herself before going to bed, the last meal of the day must always be given almost 1 to 2 hours before bedtime. If there is no gap between the last meal and bedtime, the puppy might relieve herself in the bed. Puppies are similar to human babies and they too require time before they learn certain manners. Therefore, even if a puppy deviates from her training, make sure you never get angry at her. Rather, be patient and tell her off in a polite manner. By being polite, the puppy will not only learn more quickly, but she will also remain happy and not display aggressive behavior. Dogs have a tendency to treat unclean areas as the place where they relieve themselves, even if that area is inside the house. Hence, if a puppy creates a mess, immediately clean up that area and make sure that there are no traces left. Usually, when sensing a need to relieve themselves, dogs display certain telltale signs such as sniffing around or moving in circular motions. Dog owners should be aware that as soon as these signs are displayed, they should take the puppy out. Thus, one should also try to learn the signs puppies portray for an effective two-way communication.